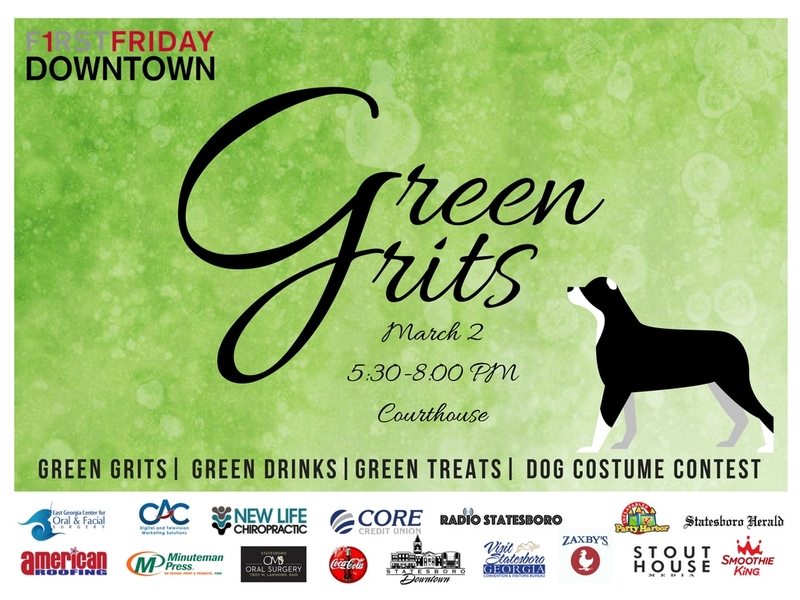 Join the Downtown Statesboro Development Authority for our annual Green Grits Festival on Friday, March 2, from 5:30 p.m. to 8:00 p.m. for an evening of green delights and family fun! This green themed festival will take place on the Courthouse Lawn and will extend onto East Main Street. The Green Grits F1RST Friday event is a night full of green food, green drinks, and green dogs. We will be featuring a variety of food vendors as well as shopping opportunities from local downtown businesses, and live music. We will also be serving homemade green grits made by Freeman’s Mill. Be sure to bring your furry friends with you to participate in the 4th Annual Paw Walk dog contest. There will be a $5 entry fee for this contest and all proceeds will support the development of the Downtown Dog Park. Dogs will be judged by creativity of costumes, behavior and for just being cute. Prizes will be awarded to first through fourth place in both size categories. 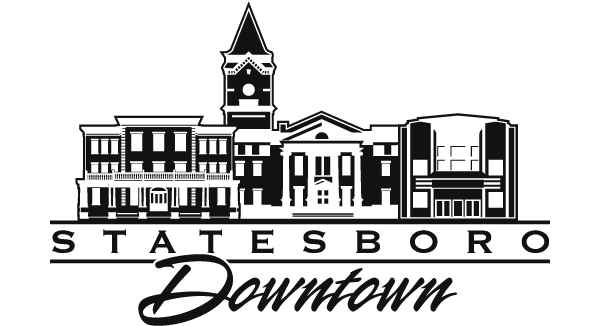 Other activities happening downtown that evening include try-outs for The Voice in the Emma Kelly Theater entrance and a gallery opening at the Rosengart Gallery held by the Statesboro Regional Art Association.